This article will help you to enable HTTP/2.0 in Apache web server on CentOS / Red Hat/ Debian and Ubuntu systems. 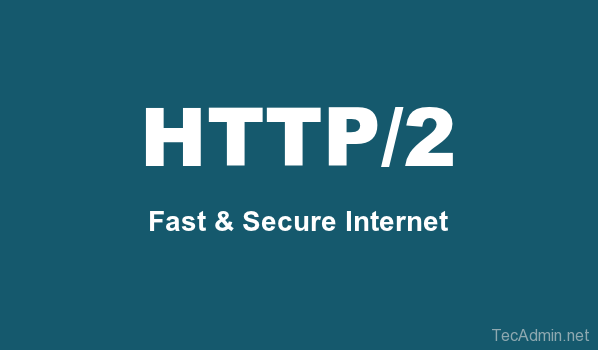 HTTP/2 protocol supported over Apache version >=2.4.17. So make sure that your Apache version supporting HTTP/2 protocol. If you have not installed Apache or using older version upgrade it first. Use the following commands to add PPA for installing latest Apache2 version on your Ubuntu system. After successful installation of Apache2 web server on your system, make sure you have Apache >=2.4.17, Earlier version does not supports HTTP/2 protocol. Now configure a VirtualHost with SSL for your domain and use following online tool for testing HTTP/2 support on your website. Now edit your website VirtualHost and add http2 keyword in listen section. Hi, Where we can write listen in Apache VirtualHost? I think listen is related to Nginx.